The talk show host and mother of one is expecting twins. Abby Huntsman announced Wednesday that she is pregnant with not just one, but two babies! "We are pregnant," Huntsman said on "The View." "And we're having a girl and a boy." 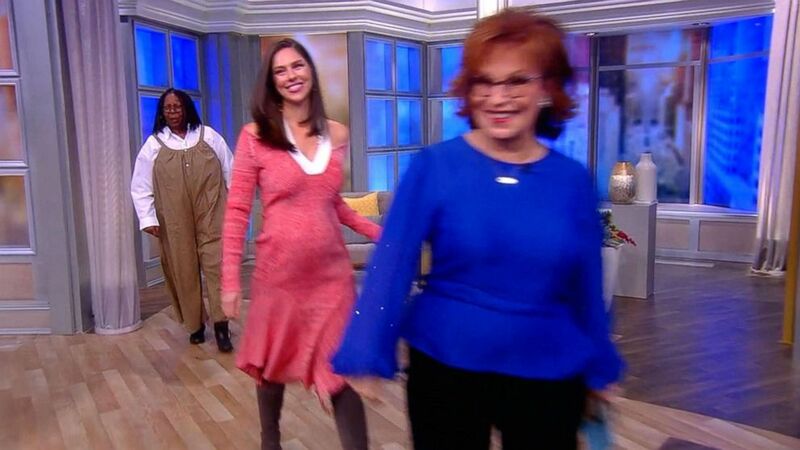 (ABC) "The View" co-host Abby Huntsman announced Wednesday that she is pregnant with twins. Hunstman, 32, and her husband Jeffrey Livingston have a 13-month-old daughter, Isabel Grace, who will become a big sister to the twins. This pretty much explains the show today. Happy birthday beautiful Isabel we love you ???? She said the news of twins came as a big surprise for both she and her husband. "My husband, by the way, fainted in the doctor's office when we found out," Huntsman said. "I was sitting there with my feet in the stirrups with the robe on and he passes out." Huntsman joined "The View" lineup alongside Whoopi Goldberg, Sunny Hostin, Joy Behar and Meghan McCain in September 2018. The expecting mother said "everyone at the table has been so supportive" in the early stages of her newly announced pregnancy, which came as a delightful surprise to her co-host and longtime friend Meghan McCain. ?????? Three kids under 18 months ... BRING IT! 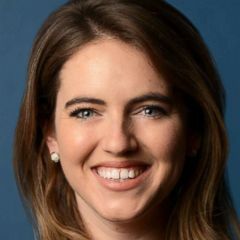 "She called me when she left the doctor's office and I was screaming at the top of my lungs, 'Oh, my God -- Abby's having twins,'" McCain recalled of shouting the news to her husband. "You are mother goals for me -- I'm so happy for you," McCain said. With three kids under 18-months in their New York City apartment, Huntsman said she's open to any advice from other parents of twins. "Any twin moms out there, parents, please give me any advice you have because I know nothing about it," she said. "It's going to be fun." But Huntsman already has a handle on motherhood and even wrote a children's book last year inspired by her daughter. "The View" co-host first announced the pregnancy in an exclusive interview with People magazine.